Who’s up for trading trends today? If you are, then y’all would want to check out these setups on EUR/JPY and AUD/CAD! AUD/CAD is having trouble making new highs above .9500, which isn’t surprising since it lines up with the 200 SMA and a falling trend line that hasn’t been broken since late March. 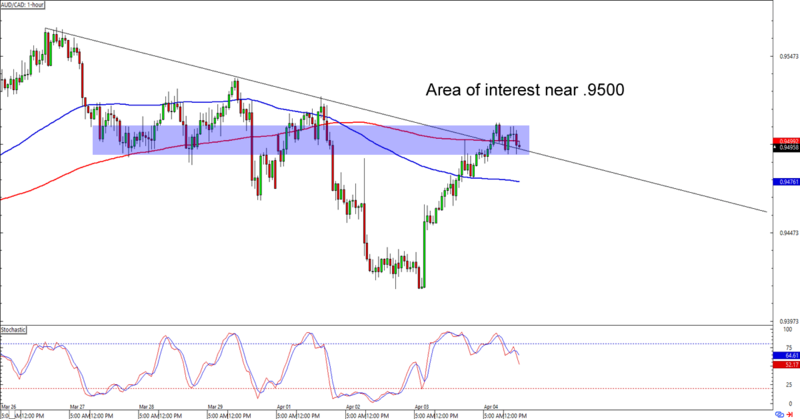 Can the bears extend the Aussie’s downtrend? Shorting at the earliest signs of bearish momentum would give you a good reward-to-risk ratio especially if AUD/CAD drops back to its .9400 lows. If you’re not sure about the Aussie’s losses, though, then you could also wait for a break above the trend line and aim for the areas of interest near .9600 and .9750. 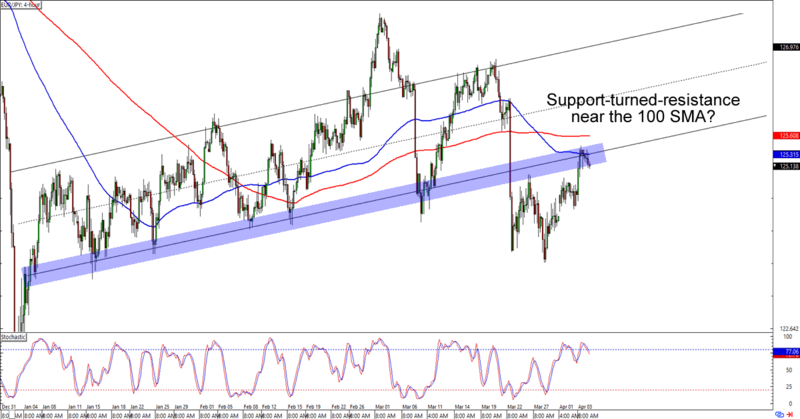 After breaking below a descending channel, EUR/JPY is back above the 125.00 handle. What makes the situation interesting is that the level is right at the broken channel support AND the 100 SMA on the 4-hour time frame. Coincidence? I think not! I’m not seeing any bearish pressure on the pair just yet, so you might want to take a chill pill and write your trading plans first before you put any orders. Of course, if you’re confident on the euro’s downside breakout, then you could also start nibbling on small short positions around the current prices. Just make sure you’re practicing good risk management when you execute your trades!